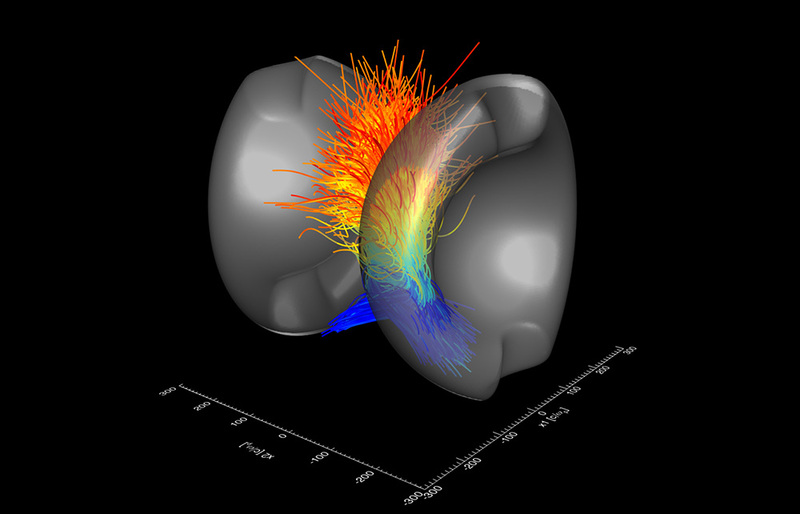 A visualization from a 3D OSIRIS simulation of particle acceleration in laser-driven magnetic reconnection. The trajectories of the most energetic electrons (colored by energy) are shown as the two magnetized plasmas (grey isosurfaces) interact. Electrons are accelerated by the reconnection electric field at the interaction region and escape in a fan-like profile.